Yesterday marked the start of the world’s biggest coming together of AV professionals and the start of what is to be the biggest since it began in 2004 – ISE 2019 is expecting to welcome around 80,000 visitors and over 1,300 exhibitions across the course of the 4 days. I have flown out to Amsterdam for the week to check out all that’s new, exciting and upcoming for the world of Video Communications, AV integration and UC. Starting Tuesday with a few hours of discovery and a bit of time spent finding my feet, focus and friends around the huge expo, I eventually found my way to the Unified Communications Hall (11) via a mindblowing array of futuristic Audio, Smart Buildings, next generation LED displays and a brief visit to the Drone Arena. With the UC hall buzzing full of technology partners such as Cisco, Polycom (Plantronics), Lifesize, Starleaf, Yealink, Aver and Oblong eager to show of their latest and greatest, I had plenty on my list to see over the day and the rest of the week, but I was keen to spend some time with the Pexip team, since the recent news of the newly combined Videxio-Pexip (now known as Pexip) meant that two of our partners were becoming one – what would this mean and what will it bring to the industry and our customers? Looking a little less Tango’ed than has previously been the case, the Pexip stand was filled with a combination of excited long-standing Pexip’ers, new-to-the-Pexip-brand Videxio team members and plenty of stand visitors, showing I wasn’t the only one excited about finding out more about what Pexip 2.0 would be offering for 2019 and beyond. Pexip is all about integration, through and through, and always has been. Being 1 of just 3 partners Microsoft are certifying for Teams, alongside the only solution to enable integration with Google Meet, makes Pexip’s solution, whether on-premise or in the cloud, THE solution for multi-vendor interoperability. We’ve said it before, and so have they, but Pexip continue to prove that they are “the Switzerland of the video industry… and proud of it“. Hot off the press this week is the Wainhouse Research report that ranks Pexip #1 in a survey of 2000 users, earning the highest score for brand perception out of 17 video providers. Excited to share this news on both their stand and at their partner presentation, the Pexip team showed in detail how these stats were formulated and how it could be backed up – something our technical-headed Pexip’ers are always very keen to do (Coming from a technical background myself, it’s always refreshing being in a room/stand full of Pexip’ers who are always factual, informative, and cut out all of what some would call “marketing fluff”). – Steve Vonder Haar, senior analyst with Wainhouse Research. 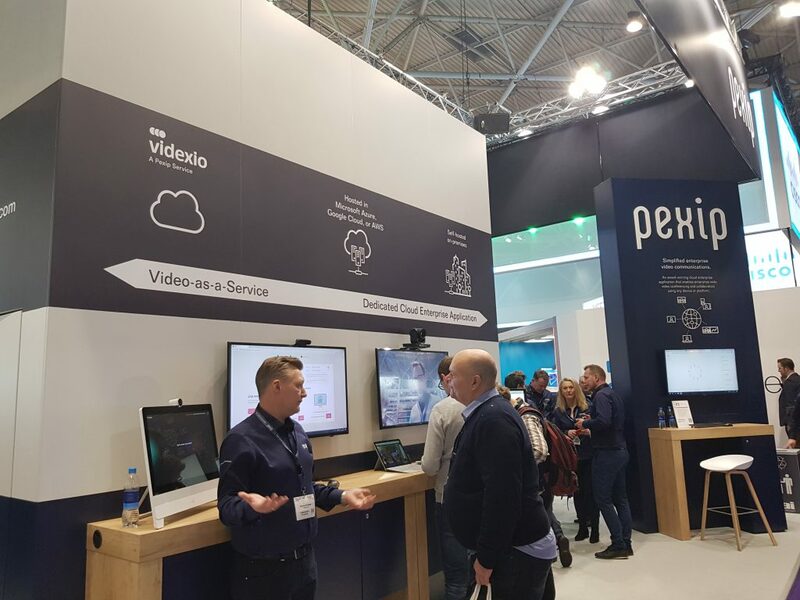 With the news of the merger a couple of months ago, we were all wondering what this would mean, not just for Pexip/Videxio themselves, but for partners such as VideoCentric and for customers who had invested in the Videxio and VideoCloud 365 (powered by Videxio) solutions. The Partner Presentation at the end of yesterday’s event made it clear – the result would be greater than the sum of the two parts. The expertise in both cloud and on-premise were merging, the experience from the SaaS world and the developers of the technology powering it could now work side-by-side, and customers would be able to gain access to the best solution available for video interoperability, in whichever way they wished to consume it. The combination of the two teams has created a 160+ strong team, enabling a stronger reach and more support for partners and customers, whilst still being small enough to be agile, flexible and personable. 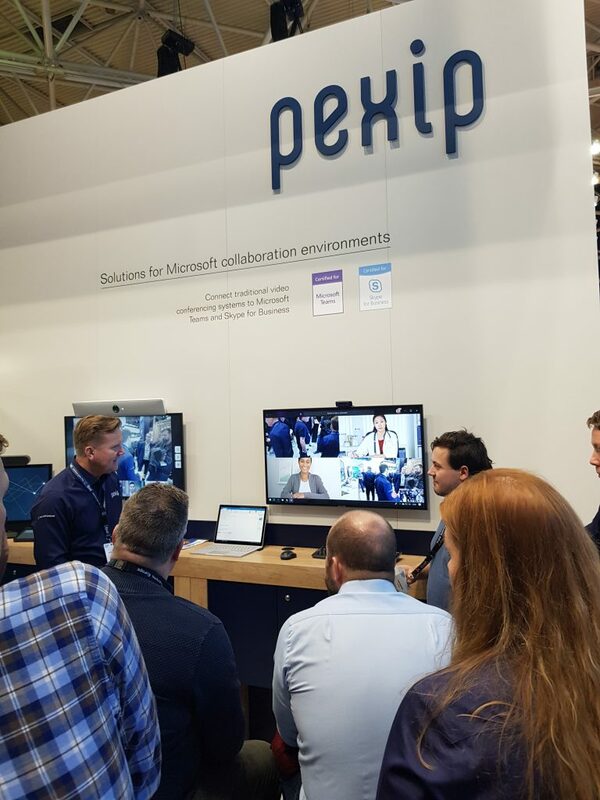 So if you are interested in checking out the latest from number 1 ranked Pexip, want to speak to a lovely bunch who know their stuff, and want to find out more about Microsoft Teams and Google Meet integration, go and visit their booth in hall 11 (and if you get there around 4pm, they might even treat you to a cheeky Pexip Beer!). 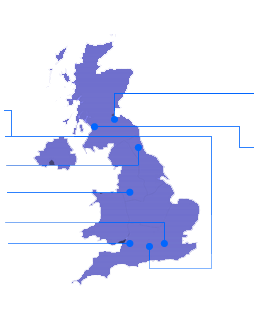 And if you want to talk in more detail after that, give us a call and we can come and visit you with our UK Pexip team or join into a video call to see what else Pexip can do for you. The best of both worlds; looking forward to this partnership!